The Department of Energy (DOE), in partnership with the United Nations for Industrial Development Organization (UNIDO), Department of Trade and Industry (DTI), Department of Science and Technology (DOST), Department of Environment and Natural Resources (DENR), and the Global Environment Facility (GEF), conducted on Wednesday (20 March) the Cebu leg of the terminal workshop for the Philippine Industrial Energy Efficiency Project (PIEEP). 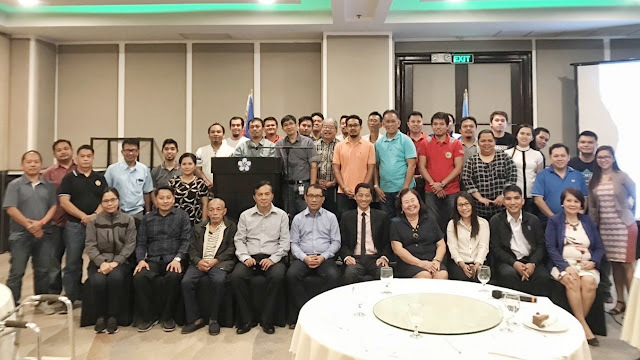 The workshop highlighted the implementation of the Energy Management System (EnMS) and how it is applicable in making energy efficiency and conservation (EE&C) a way of life for all Filipinos. It also sought to increase the consumers' level of awareness and instill the values of energy efficiency and conservation. Representatives from FUNAI Electric Cebu, Inc., SMYPC Cebu Glass Plant, MEPZ Mixed Gases Corp., and Summit Consultancy & Research Services also shared their experiences and best practices on the implementation of EnMS with System Optimization. A total of 51 representatives from both the public and private sectors attended the workshop. The activity aims to reinforce the DOE’s commitment to provide access to cost effective energy in the ever-shifting global business environment.